A ready to use solvent based flooring adhesive designed for fixing carpet grippers and trims, stair nosings and plastic and wooden skirting. 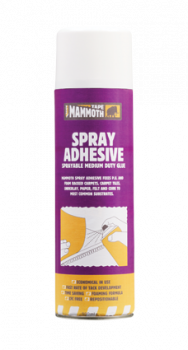 Adheres to most common surfaces including wood, carpet, metal, stone, concrete, PVCu and much more. Sign up for the latest updates and offers!